WHAT: The University of Illinois Springfield presents the 5th annual Student Technology, Arts & Research Symposium (STARS). The two-day event showcases student research and creative activities during the academic year. WHEN: Thursday, April 14 from 4 p.m. to 7 p.m. & Friday, April 15 from 9 a.m. to 9 p.m. DETAILS: UIS undergraduate and graduate students will present their research and creative activities through short talks, poster presentations, art exhibitions and musical performances. All events are free and open to the public. 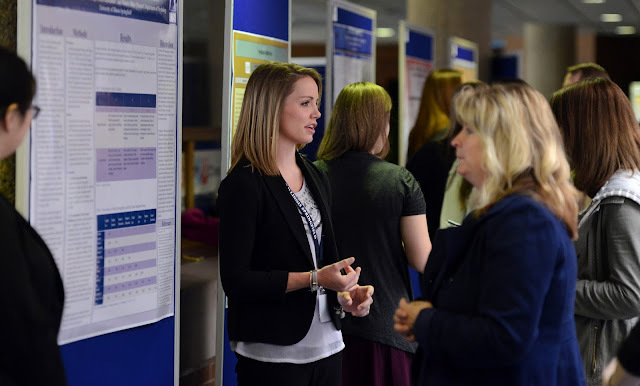 The symposium events begin on Thursday, April 14, with oral and poster presentations from students in the College of Business and Management and musical performances. Events on Friday, April 15, include additional student oral presentations, a reading of the student directed play Resurfacing, as well as poster presentations, art exhibitions and music. Students will also launch the literary journal Alchemist Review on Friday. Two keynote presentations will take place on Friday in Brookens Auditorium. Dr. Edem Agamah, associate professor of clinical internal medicine at the Southern Illinois University School of Medicine and founder of the International Health and Development Network will speak at 1:30 p.m. Danielle Evans, author of the short story collection Before You Suffocate Your Own Fool Self and winner of the PEN/Robert W. Bingham Prize, will speak at 7 p.m.